Promoting their upcoming comedy Wanderlust, out February 24th 2012, the leading casts from David Wain‘s directed movie, Paul Rudd and Jennifer Aniston, were photographed by Terry Richardson for the March cover of GQ US. Click here to view last year cover featuring Channing Tatum and here for 2010 cover featuring Kobe Bryant. 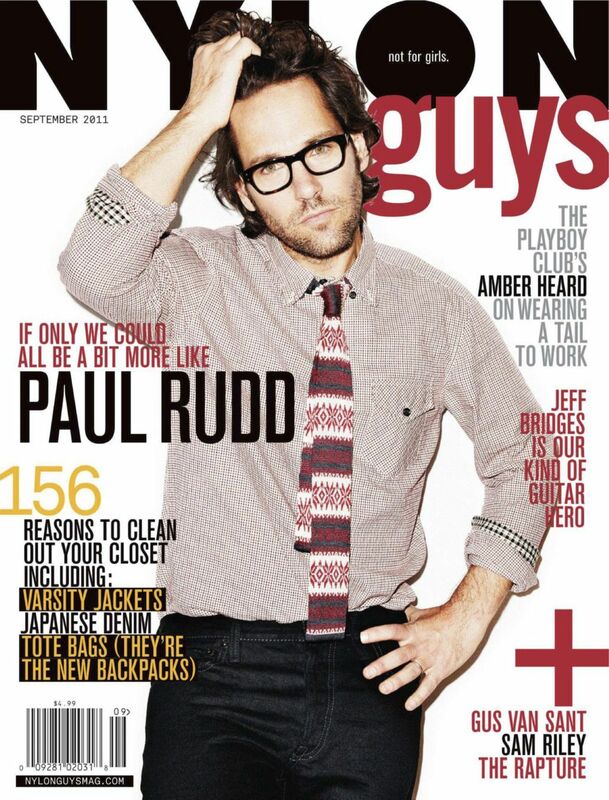 Paul Rudd photographed by Kenneth Cappello for the September 2011 cover of Nylon Guys. Click here to view last year cover featuring Jason Schwartzman and here for 2009 cover featuring Joseph Gordon-Levitt.